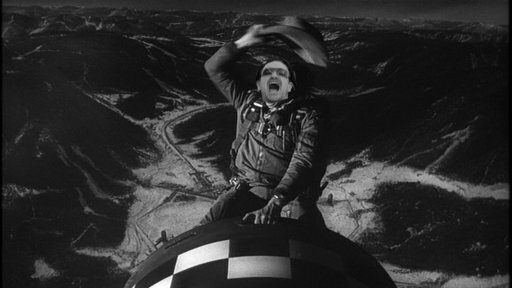 No Fighting in the War Room: Bono and the Obama Clan Hit Ireland - Charley Brady - Opinons; My Own. Snigger ye not, vile cynics! I know that a lot of you out there are having a good laugh at the itinerary for Michelle Obama and the two kids last week during their visit to Ireland. Ah, there’s no pleasing some of you. Come on, now: what eleven and fourteen–year-old wouldn’t get a thrill out of seeing the Book of Kells? Personally I thought her visit here was pretty entertaining and Ireland did live up to its reputation as a welcoming place if you are a wealthy, glamorous V.I.P. What were we supposed to do? Turn our backs and pretend that we hadn’t noticed her arriving? However, Grumpy Clare Daly, we’ll get to you in a minute. First off, I want to know who completely screwed up, after all the warnings that were given, by letting President Bono out of his cage. That’s not being hospitable, that’s just being plain freaking evil. Do you not think that the Obama clan spend enough time hiding from him in the White House, or telling their security guys to pass on the message that they’ve just left the building? Do you really think that they ever want to run into that boring windbag here as well? Actually, let’s also leave President Bono for a bit. I just can’t face it at the moment. Ah, JFK; He Was a Saint, So He Was! As you all know by now President Barack Obama was in Ireland for the G8 Summit, supposedly to talk about tax avoidance, climate change and some other…uh, things; but in fact, due to unforeseen circumstances, undoubtedly ended up devoting most of it to the ongoing nightmare in Syria. While he was speechifying in Belfast the First Lady and his two daughters hit the Shelbourne Hotel in Dublin. When I heard that the RTE Propaganda Station were showing an extra programme to cover part of Michelle’s visit to the Gaiety Theatre I trundled over to my local to watch it there. Like certain other activities, watching a political visit is a pastime that is best done in company. And anything to do with politicians in general needs a strong drink in your hand. It’s always amusing to hear the comments being directed towards a TV screen when certain people are gracing it. Since this was a little early in the day there were only a few punters abroad; but I think it’s fair to say that fifty years ago that same week, when JFK visited these shores, he was probably heard out with a little more reverence. His image on those old flickering black-and-white screens in 1963 belong to a time when people thought in their innocence that some politicians actually meant what they said. When they could actually move their lips without a lie passing them. When they made promises that they kept. If you still think like that then you’re also probably under the impression that priests make good child-minders. Anyway, I doubt that the same sarcastic comments were thrown over the counter half a century ago. As it happened I rather enjoyed listening to Michelle Obama as she directed her words towards an audience of young people. Sure, it all amounted to a lot of hot air in the ears of an adult; but her message was positive. What was she supposed to do? Tell them that in all likelihood they had no hope of getting anywhere unless they had some money behind them to begin with? Tell them that the world is not just waiting to welcome them into its open arms but in fact is just gearing up to give them their first kick in the teeth? All true, that and more: but they’re going to find that out soon enough. I’m not the kind of person who believes in telling a six-year-old kid that there’s no Santa Clause or a twelve-year-old that there’s no God. Hell, they’ll find that out soon enough. Let them have a bit of wide-eyed wonder for as long as they can. So yeah, I liked her speech and I liked her enthusiasm; and do you know what? I thought that she looked as if she was having a good time. With her husband, it’s hard to tell. He always looks so damned polished that it’s impossible to see what’s real and what isn’t. But her? Yeah, I’ll go out on a limb and say that she was enjoying herself. She also looked pretty damned good for a woman who had been up for all hours and had just come off a reasonably long flight. A lot has been said about her kids—Malia, 14 and Sasha, 11—looking a bit bored. Well, come on now. Take a look at their ages. Maybe they weren’t all that thrilled but it’s not as if they came across as sulky brats either, so be fair. Jeez, instead of laying on a separate show for them with a teen group like One Direction, they had to sit through the two-decade old Riverdance. Now I would have enjoyed that myself—but I’m not fourteen. If you are the President of a country—any country, it can be led by a dictator, he’s not fussy—then Bono is bound to have you on speed dial. You all know the joke that went round when the Vatican was looking for a new Pope: Bono turned down the job because it would have been a demotion for him. Ha! It’s funny because it’s true! Now maybe Michelle was glad to see him; she seems like an easy-going person so maybe…but inflicting him on Sasha and Malia? I mean, grown men have tried to do a Reservoir Dogs on their ears after listening to Bono talk about World Poverty for two minutes; yet WE think that it is Irish hospitality to inflict him on two kids? There’s something seriously askew about that. I’m sure that comes under some Cruelty to Children Act. By the by, Bono also took the great Neil Young there for a pint last week. That doesn’t count, though; one is a genius whose music helped to change my life and the other is…well, Bono. You do have to laugh, though. It’s only a couple of weeks ago that the Social Protection Minister Joan Burton was giving out about various corporations and their tax affairs. “That’s not acceptable if a huge amount of personal wealth and corporate profits are diverted in a way in which they make little effective contribution. Now I’ve no intention of going back over seven years of bloody U2 cuttings—life is too short—but to the best of my knowledge that makes Joan Burton the first minister to comment on them in such a baldly open manner. Now surely I can’t be the only one who finds it funny that Burton says this and then, possibly at the very same time that Barack Obama is discussing tax avoidance amongst big corporations, his wife is being hosted by Bono! Seriously, who IS this guy? Yeah, yeah, I know: he will say that he did this as a private citizen, but I honestly find this hilarious! 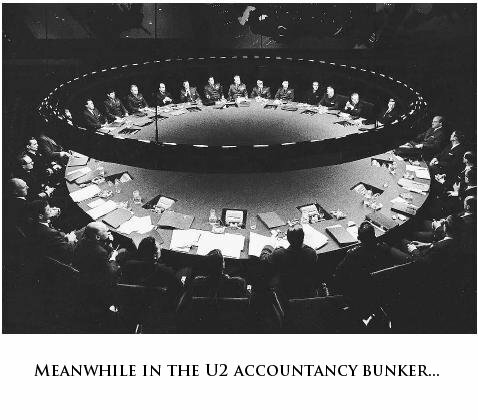 And let me say this again: U2 are doing nothing illegal here. In fact, I don’t have a problem with any of the other band members at all. Indeed, another Irish artist—Enya– avails of the same tax scheme and she doesn’t get on my nerves the way that Bono does. Is it because none of the rest of them feel free to lecture we little people on how we should be giving more—and more—and more—to Third World Aid? Sorry, Bono; dig a little deeper yourself. These days, for me charity begins very much at home. Jeez, it has to! At least he took his wife Ali with him. I think that we can all agree that she is OK.
AND I enjoyed Obama’s speech to the youngsters in Belfast. Again, full of sound bites (and God how I covered my head in embarrassment when he mentioned ‘the craic’) but all harmless stuff at worst; and at best, then for some kids I’ll bet that it was actually inspiring. It’s too late for the dinosaurs to change their ways; but we might be able to show a decent path to some of the next generation. Ha! I was rolling on the floor when she said that! Bono is Mr. Tax Exile! Funny! It was just spoiled a bit by the fact that her close friend Mick Wallace was sitting in the Dail right in front of her instead of in a jail cell where he belongs. After all, there is a difference between AVIODING tax and just criminally DODGING it. But don’t hold back, Clare. What else did you think? I’ll bet that Clare felt better after getting that off her chest. Even if she DOES seem to be a little confused about the difference between pimps and prostitutes. As for Dame Edna getting pats on the head? Get a grip, woman. He’s well used to that after dealing with his boss Angela Merkel. In fact I’m surprised that he doesn’t have a little monk-like bald patch on his head at this stage. And indeed, quite a few people agreed with her. Enda wasn’t one of them, though. Perhaps he was still smarting after trying to gatecrash the G8 summit with the Big Boys. It was quite poignant when he took off his tie, just like the Big Boys did; but they still wouldn’t let him play because he wasn’t invited and because Ireland isn’t a rich country and he’s just a gombeen that they tolerate when it suits them. So they were nice to him for a few minutes and then slammed the door in his face and told him to go off and do his interviews in the car park. We were all so proud. You tell her, Enda. She’s a thundering disgrace, so she is. Don’t mind him, Clare. Don’t let him tell you what to say, you get stuck in there girl! Go on ya good thing! Come again, any time, Michelle. You’re great for the morale of the nation; possibly just not in the way that you intend. Ah, my president, O’Bama, he is a guy that if you came across him in a pub would be your best friend for life after the first drink and the godfather of what ever newborn you have around the place after the second, he is just likeable. As is the rest of the family, just nice people. But, he is also the most blood thirsty president we have had in many a year, he has no problem ordering the killing of our enemies both foriegn and US citizen by Seal team, drone or any other means. He has no problem spying on anyone and everyone. And that is just what we know so far, God only knows what he has ordered that is classified as “top secret – national security”. People hated George W. Bush because he was a “war monger”, someday when the dead are counted I bet B.O. will be far ahead of W. in body count. As for Bono and all the other billionares (Bill Gates, Warren Buffet, the church – you name which one, they are all the same, et al)who want to preach to us common men, I’ll listen when you give ALL of your money, property and goods to the poor and only have $30K left to live on. Then I might listen to you but only if all of that money really did some good and did not just go to some Hellhole contry dictactor’s pocket. How many billions of dollors have been poured into Africa in the past 100 years and how much good has it done? Maybe money is not the answer?